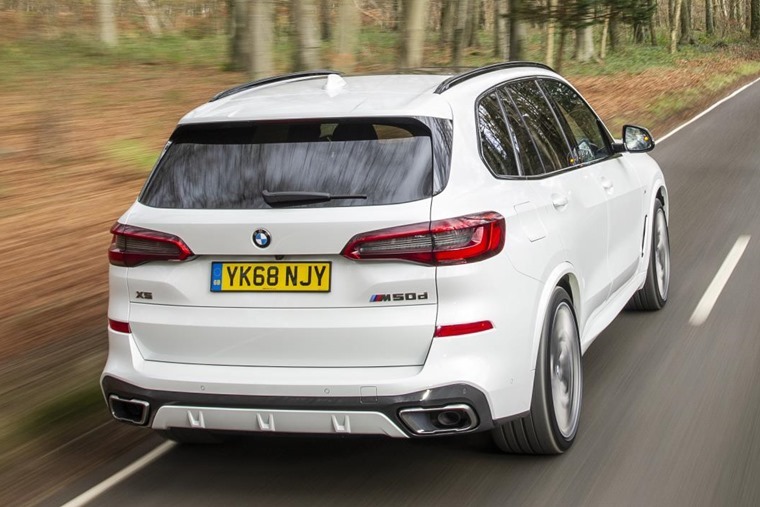 Longer, wider and taller than the outgoing X5, the exterior has also been slightly tweaked to look more robust and powerful with huge kidney grilles and active flaps which improve aerodynamic efficiency dominating the car’s front. A more prominent grille and sharp, angular headlights suggest it follows the same design philosophy seen on lots of the latest BMWs – including the upcoming flagship X7. Two diesels and one petrol engine will be offered, with BMW previously confirming that a plug-in model will be offered at an unspecified later date. The 261bhp xDrive30d is expected to be the most popular model, with the 3.0-litre offering a 47.1mpg fuel economy and 158g/km CO2 emissions. The petrol xDrive40i is set to be much thirstier, returning 33.2mpg. The M50d will be the most powerful in the range, offering 395bhp and 760Nm and hitting 0-62mph in 5.2 seconds. As BMW’s premier Sports Acitivity Vehicle, all three models are equipped with four-wheel drive and an eight-speed automatic gearbox as standard. 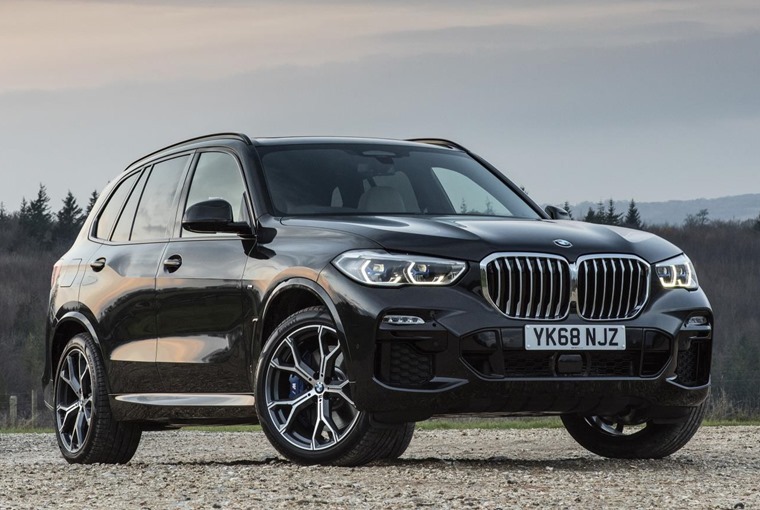 As such an optional air suspension system with active roll stabilisation can be spec’d to counteract the X5’s weight, varying ride height by up to 80mm with the four-wheel steering improving agility and stability at higher speeds. 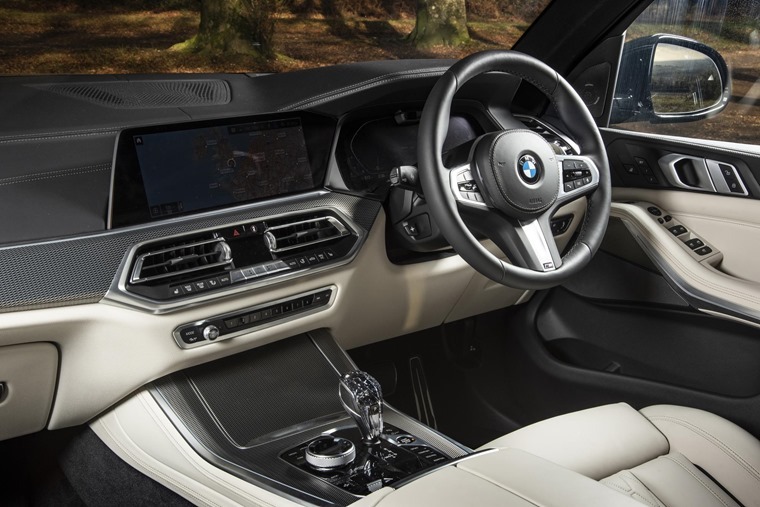 On the inside, the all-new X5 benefits from a more modern design with plenty of tech on offer. The iDrive infotainment system adds to the minimalist cab, with a 12.3in display controlling a variety of functions via clickwheel, including touch, voice and gesture commands. This blends into the main instrument panel, a second 12.3in screen, which has customisable digital dials. Traffic Jam assist keeps the car in a lane with semi-autonomous steering input, and will merge into a clear lane when the indicator is held in the desired direction. Another system, Emergency Stop Assistant, can bring the X5 safely to a standstill if the driver is unable to. Even more impressive, it can perform lane changes and stop on the hard shoulder. 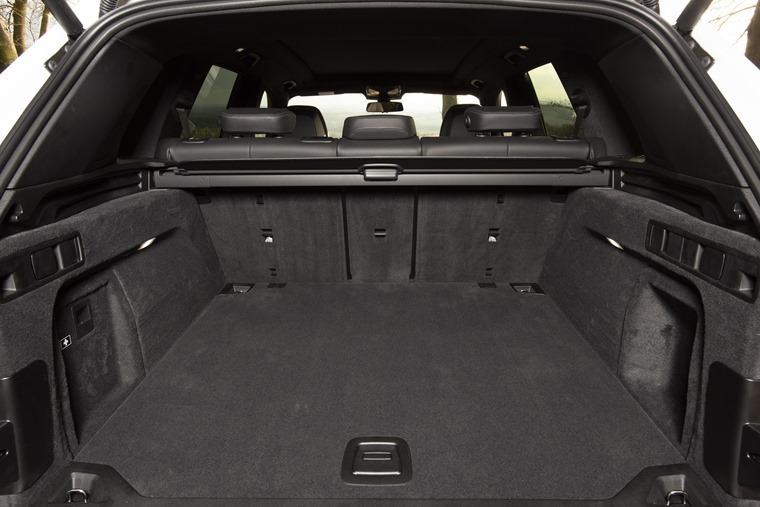 A 640-litre boot is offered, expanding to 1,860 with the 40/20/40 seats folded down, which is slightly decreased compared to the outgoing model. For convenience, the new X5 offers an optional hands-free tailgate and electrically retractable load cover. Once again, seven seats will be offered and despite the boot space being smaller, comfortable entry and exit is achievable thanks to electrically forward-tilting second-row seats. 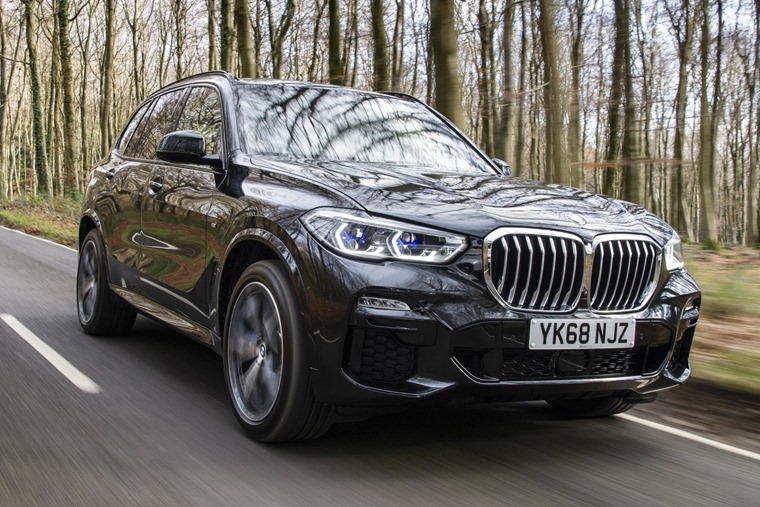 The X5 is the fourth BMW-badged SUV to get a rework, following the all-new X2 and refreshed X3 and X4. Unlike before, however, it won’t be the flagship of its off-road-focused range – that’ll be the X7 that’s due to launch at the end of the year. 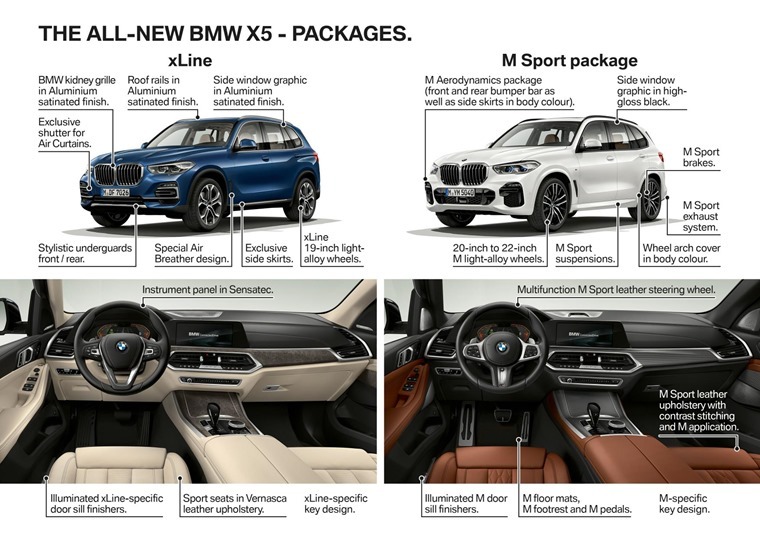 List prices for the new X5 start at ££57,495 OTR, rising to £71,475 for the range-topping M50d. Lease deals are available now.